This one is a bit a sad case. In 2012 I was asked whether I knew of anyone that might be interested in a challenging project. 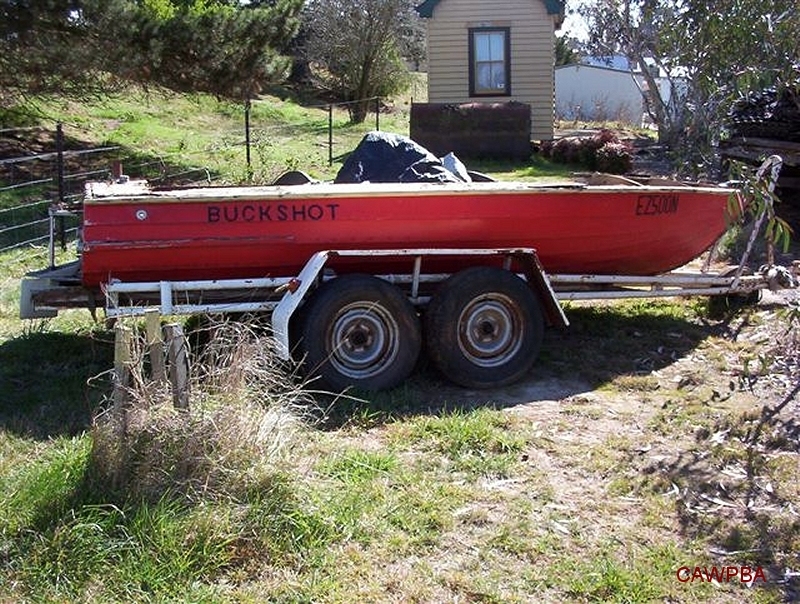 It turns out that Buckshot was originally owned by "Gellignite" Jack Murray, although under a different name, and used extensively on Lake Bathurst in the late 50's and early 60's. 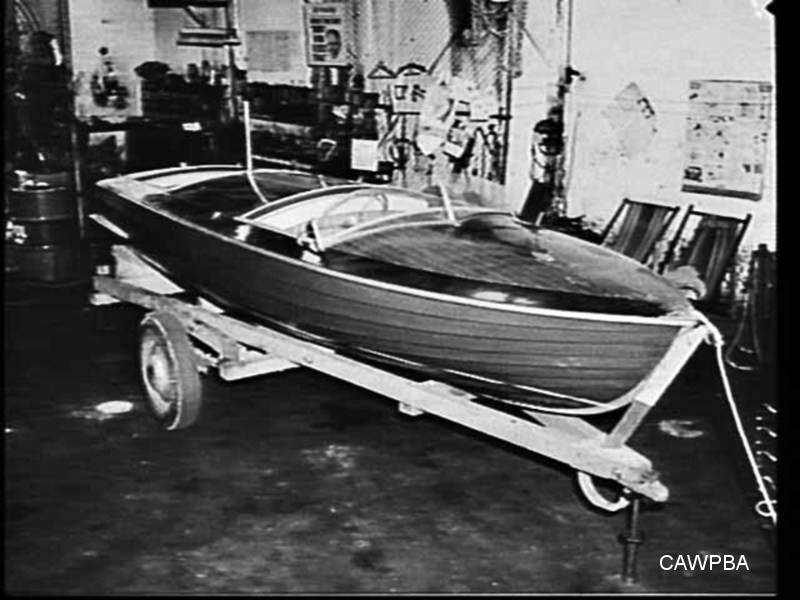 The boat was on display at the Lake Bathurst Tea Rooms museum. Unfortunately, it was displayed in the open and had deteriorated considerably. 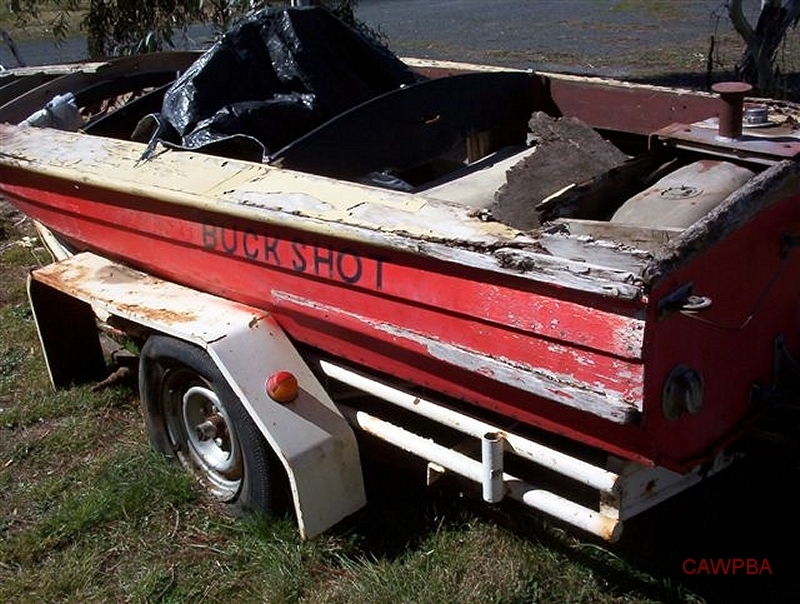 These pictures were taken a couple of years back and the boat is in even worse condition now. 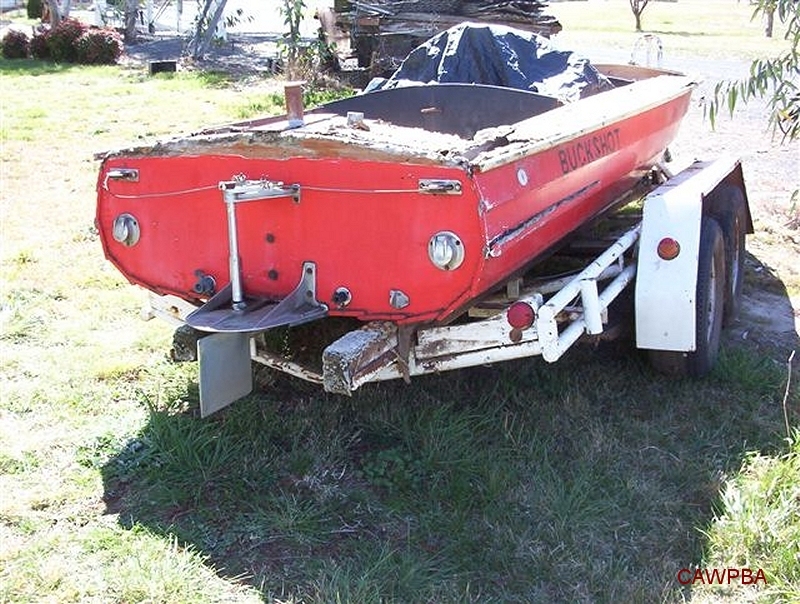 I believe the boat had been sold to a local with the intention of restoration, but came up for sale again a little later. While it would be a shame to lose a piece of Australian motoring/maritime history, the project would have been huge. 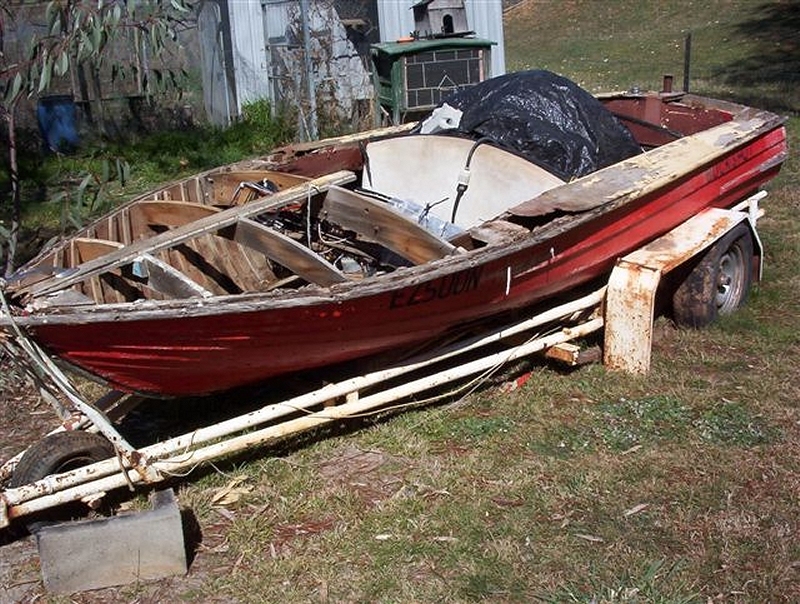 I've lost track of the boat now and do not know of its fate. 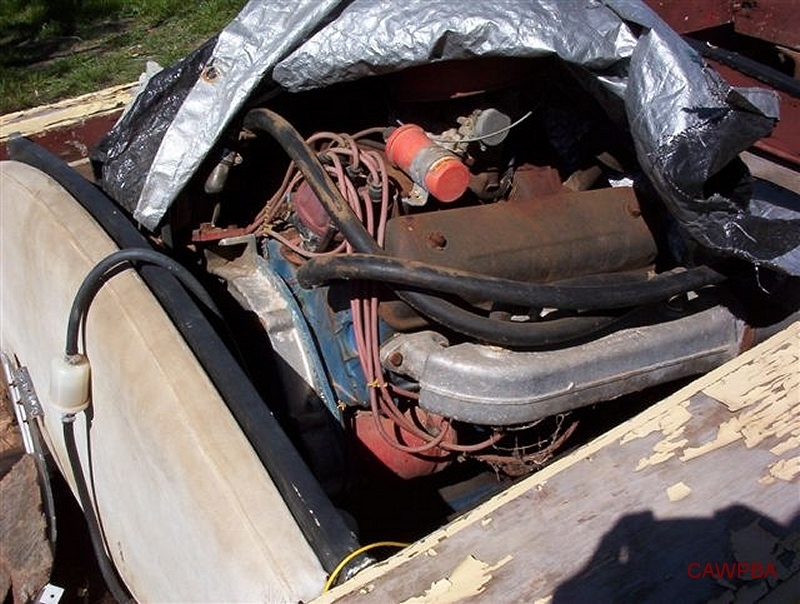 Knowing of Jack Murray's exploits, I dare say the original Ford 272 ci V8 would have had received some "development" work.